ECM Titanium 1.61 with 26000+ driver added. Software version remains V1.61, with updated new database. ECM TITANIUM allows you to accurately and easily, autonomous and completely safe to interpret the files that are contained inside the motor controller. 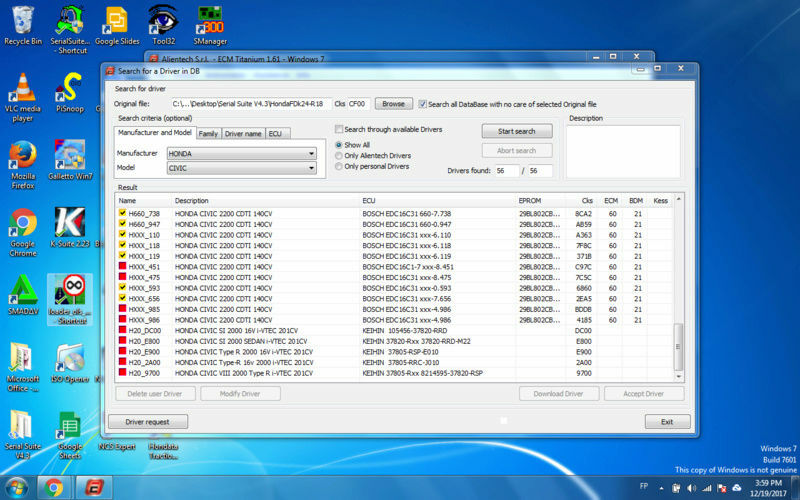 Through the use of Driver which true "contents" pose for reading the files contained in the control units, you can easily find the data stored in the file maps and the main rev limiter to increase the engine power, or simply the consumer to optimize. The outstanding component of this product are its drivers the latest Generation. They offer a well-structured and functional powerful interface to create and manage projects in terms of the machined in ECM Titanium files. After the file contained in the memory of the control unit has been read, it is enough to load it. 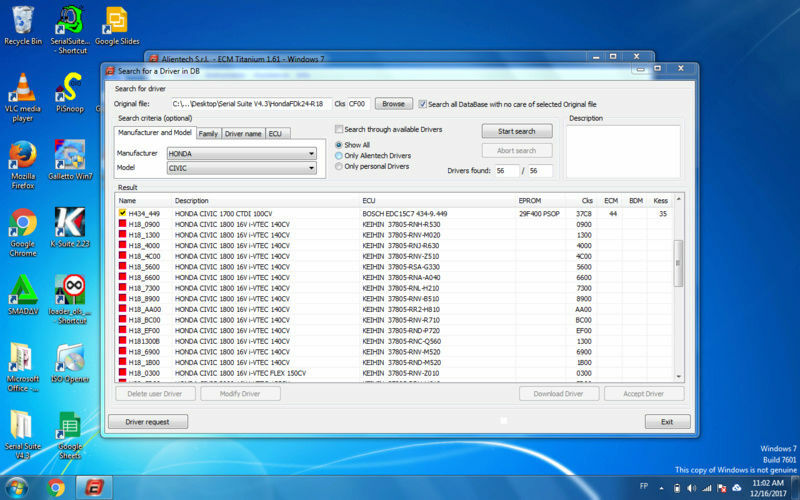 Then the software starts a search to check the presence of compatible drivers both in our personal as well as in the online database. Thanks to the studies of our developers, allows the software about to act directly on the main areas: control of air-fuel ratio, engine torque, injection system, Rail, Turbo and many other options are available. The tabular representation of the data contained in the data read from the controller file is the easiest, fastest and most understandable way to interpret the values to increase or decrease. By clicking on the desired map, the main screen is replaced by a table that was created by crossing existing on the two axes parameters. So you can Nm, Bar and mm3, intervene directly in the physical map information, for example. The data is converted in 2D graphs. Through this graphical representation, you can try to optimize the existing data in the engine control unit and act on only one of the maps contained in the Driver, only one byte, on any map or on a specified inside the file. The new 3D-graphics engine allows you to interact with the data in an existing driver map. You can zoom the values directly from the graph window, rotate and edit. All files of the engine control unit have a hexadecimal structure. This numerical representation system is extremely common due to the direct relationship of a hexadecimal number with four binary digits in the computer science. 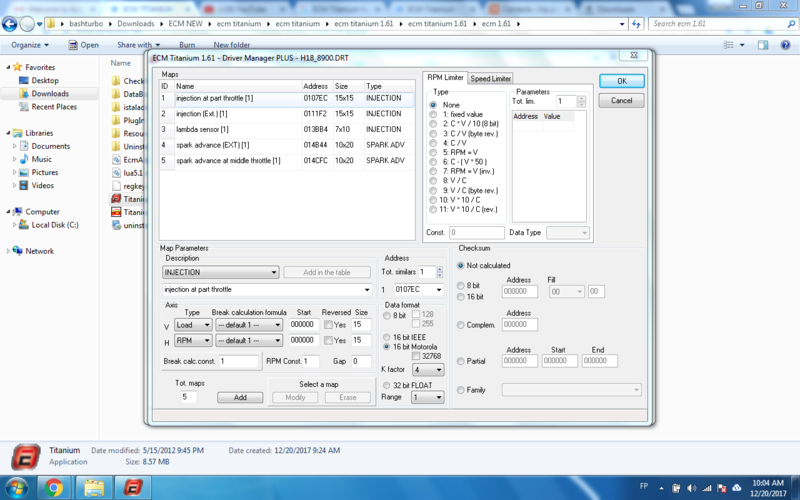 By this hexadecimal window of ECM Titanium, you can interpret the file structure and Editing. It is a bit sequence that is used for checking the completeness of the data. 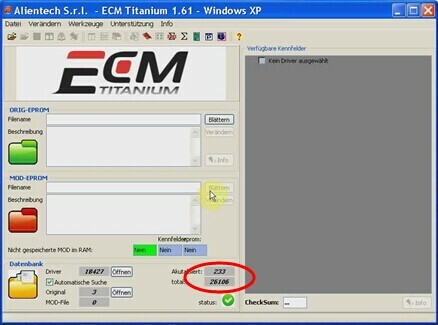 Every time you interact with a single bit, interpreted and automatically corrects ECM Titanium the control sequence. Therefore, a successful course is guaranteed, no matter whether you work in real time or whether you need to send a file to your slave. hELLO , Where is the link? can you give me the link? rarescazan wrote: can you give me the link? Download link is only for active members! The link does not appear in atachments . Help me . help? CN NOT FIND LINK.. The link is not on the txt file.Please update the txt with the file. alfistiGR wrote: The link is not on the txt file.Please update the txt with the file. Hello every one. The ECM Titanium cracked version is good but drivers are not completely for usage. There are drivers that are in red colored boxes which means these cannot be accessed. Hope something can be done about these to use it full potential or if there are tuners out there who can contribute to post guide how to make use of the create/modify plugin so that the user of the ECM titatium software will be able to create a driver for a particular hexdump bin file read at ECU if driver is not available. Please find my point of view in the attached screenshots.